MANILA — The Duterte government will set a budget of P500 million for a new medical building with state of the art equipment for soldiers, President Duterte said on Tuesday night. 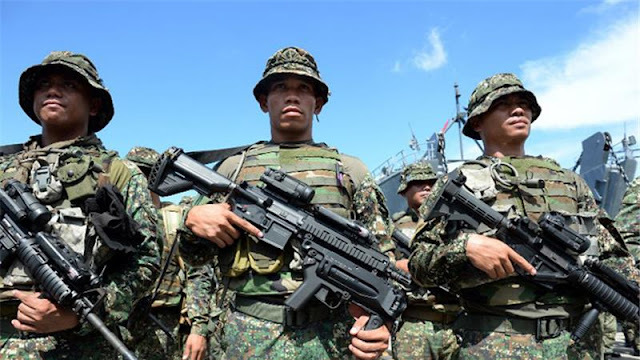 At the AFP Medical Center, President Duterte told soldiers that he would make sure that they get the best equipment by doing away with the practice of awarding contracts to the lowest bidder as this has resulted in substandard items delivered to the military. He made the announcement after his visit with wounded soldiers. He had informed the Commission on Audit of his position, President Duterte said. “The lowest bid is the source of corruption,” he added. In attempts to offer lower bids, government has ended up getting items made in China, he said. These items, he added, would often be broken in a short time. President Duterte will make sure that the government would get the best value for its money. “Everything would be quality, and fast,” he said. He also said he would make sure the bidding would be aboveboard and would not be rigged. He said the troops should thank Budget Secretary Benjamin Diokno for providing the funds for their needs.